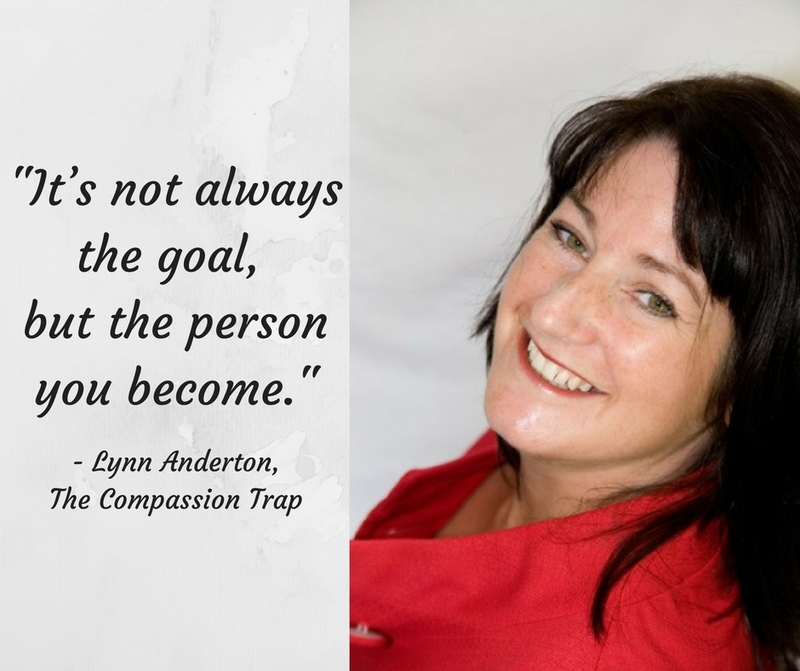 "My goal was to start my own life coaching business but an unexpected turn in my circumstances in terms of a relationship coming to an end became the catalyst to me changing my behaviours which in turn transformed my business and myself," says life coach, Lynn Anderton. My name is Lynn Anderton, I’m 54 years of age and I live on The Wirral in the UK. I’m a trained life coach and movie therapist and I coach people to learn to react differently to others so they meet their own needs and ambitions by using the movies they watch. I struggled when I came out of a long term relationship with self-esteem, but didn’t know what I was feeling and how to deal with it. I’d become uncomfortable in my own skin and with being on my own, therefore my initial goal was to recover but I didn’t want to use conventional therapy. I watched certain movies over and over again, ones that showed characters with the same behaviours and worked out how the characters had to react in order to get a result. I then used this knowledge to go back into the dating arena in order to test myself and gain confidence. Self-control was my biggest hurdle. Sometimes I just wanted to be with someone, but I knew that some people were damaging to me and therefore this was like a self-sabotage. My inspiration comes from feeling confident enough to demand that people accept me for who I am and not what they want me to be and visa- versa. Think carefully about your expectations of others. They are usually what you need to do to yourself or for yourself first, this will challenge you to focus wholly on your goal. My goal is to use my new found self-control to negotiate myself the challenge of a new connection I have found that will allow me to feel cared for but independent. Lynn Anderton is a qualified life coach and mentor with specialist qualifications in movie therapy, positive psychology, assertiveness, self-esteem and confidence building. Lynn has developed and delivered workshops and coaching programmes to individuals, mental health, housing and social enterprises with the support of The School for Social Entrepreneurs, from which she graduated as a fellow on the Social Innovation for Health Programme. Learn more about what Lynn does at www.thecompassiontrap.com.